I often take Audible books on my trips. This was a good and sobering listen. On a beautiful summer afternoon in 1998, Dan Stephens, a 22-year-old canoeist, was leading a trip deep into Ontario's Quetico Provincial Park. He stepped into a gap among cedar trees to look for the next portage - and did not return. More than four hours later, Dan awakened from a fall with a lump on his head and stumbled deeper into the woods, confused. Three years later, Jason Rasmussen, a third-year medical student who loved the forest's solitude, walked alone into the Boundary Waters Canoe Area Wilderness on a crisp fall day. After a two-day trek into a remote area of the woods, he stepped away from his campsite and made a series of seemingly trivial mistakes that left him separated from his supplies, wet, and lost, as cold darkness fell. Enduring days without food or shelter, these men faced the full harsh force of wilderness, the place that they had sought out for tranquil refuge from city life. 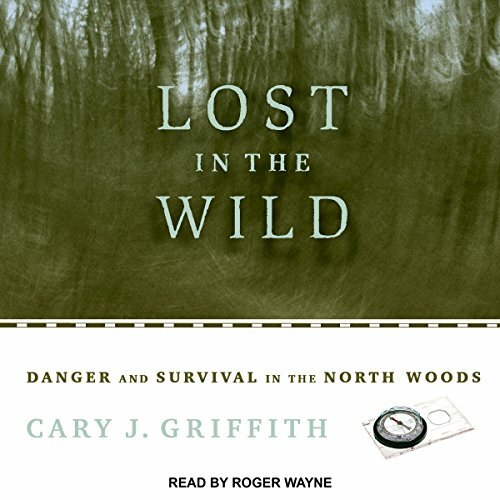 Lost in the Wild takes listeners with them as they enter realms of pain, fear, and courage, as they suffer dizzying confusion and unending frustration, and as they overcome seemingly insurmountable hurdles in a race to survive. Our library has an app so we can download audiobooks on to our phones.